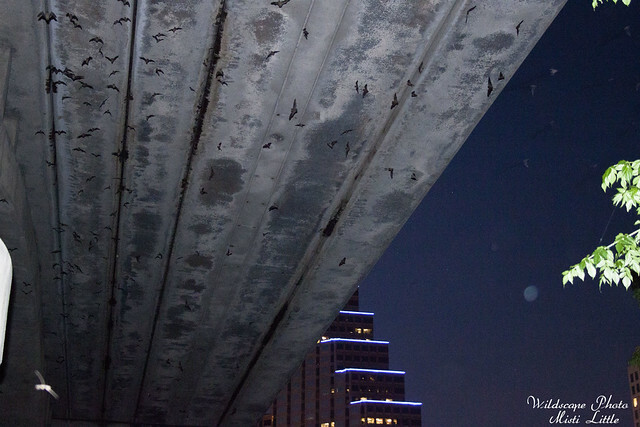 While in Austin two weekends ago we took advantage of an opportunity to see the colony of Mexican free-tailed bats that live under the Congress Avenue bridge in downtown Austin. We didn’t really do much research when we got there only knowing about when to go (dusk—but earlier to get a spot in the crowd) and the location but when we arrived we quickly realized we didn’t know where to park. 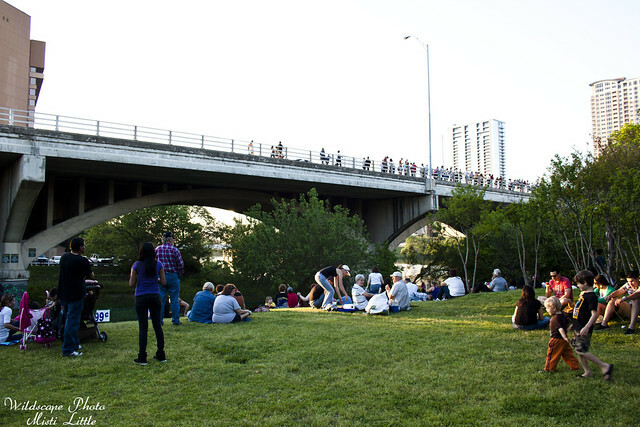 We ended up in the Austin American Statesman parking lot, which I am pretty sure we weren’t supposed to be in, but a few others were parked there and a gate was open to the little green space near the bridge. 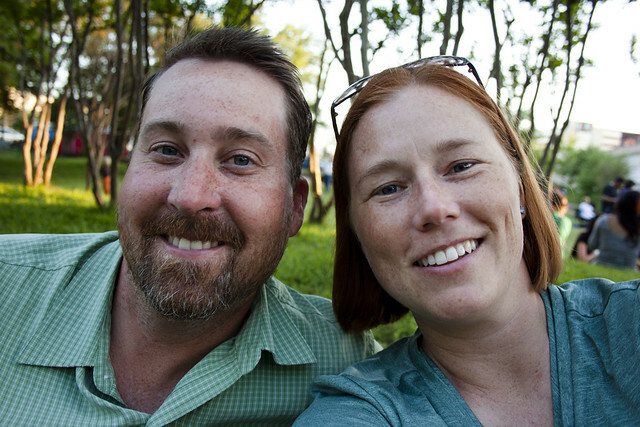 We arrived about 30 minutes before sunset and found a place to sit and people watch. 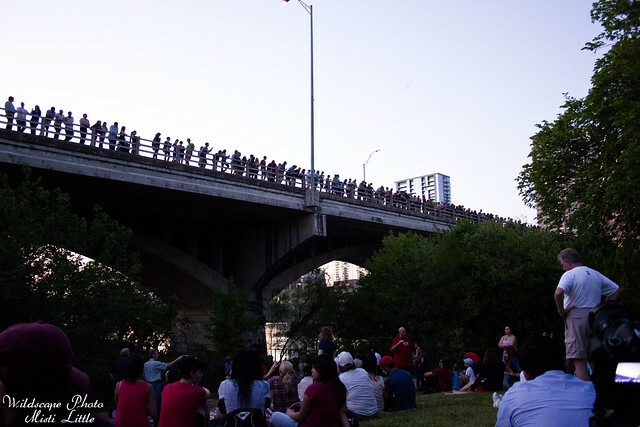 The crowd grew larger as time went on and kayakers and tourist boats were in the Colorado River beneath the bridge too. Next time I am definitely doing this via kayak! 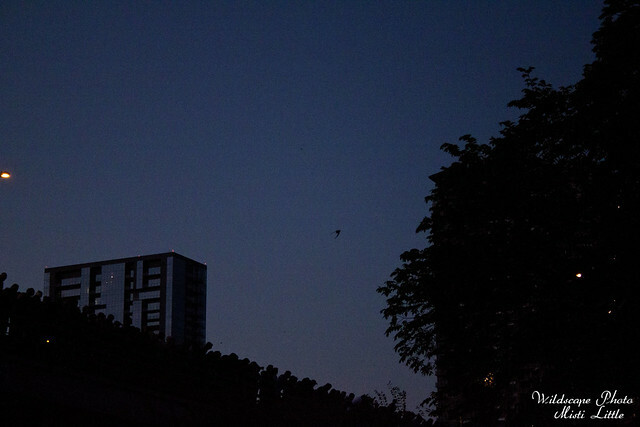 Finally bats started flying out but the light was so low and we weren’t in the best position for photos. Chris opted for a video only and when he processes that I will get that up here too. Yes, those blurs are bats! 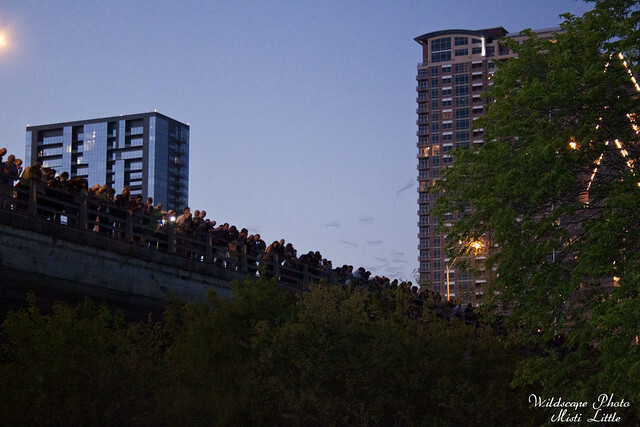 Finally, the thrill of the bats over and the darkness settling in, most people left. We decided to walk under the bridge where others had been, taking the chance of random guano falling on us, to see what we saw there. It was insanely loud with bats! These photos just don’t do the awesomeness any justice! 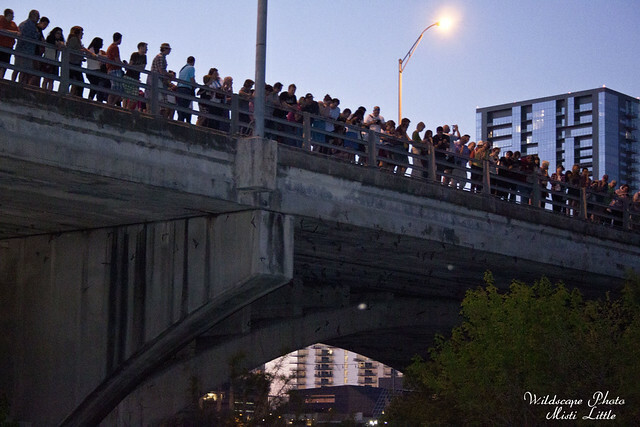 Before we went under the bridge, you can see the bats streaming out and hear them along with the crowd. 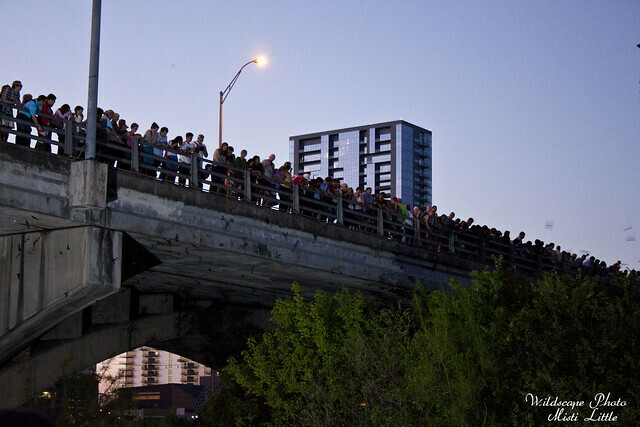 And a video under the bridge, the flashes from the cameras giving you a chance to see the mass of flying mammals! If you are ever in Austin I highly recommend checking this out! 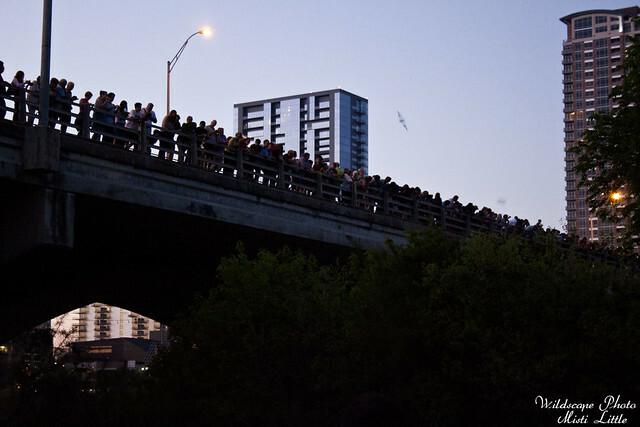 It might be better viewing from the water and on the bridge, the bats seemed to funnel towards the middle of the bridge. I think they do, most nights. This was a weekend night so more tourists were out! I would like to go there some day. Never knew about this. So much to do in Texas, maybe someday I will get to do it.